— Brand new APS-M Flight Control System with superior performance through cutting edge information technologies, utilizing high precision sensors and modern system control subroutines. Support quad(4), hex(6), and octo(8) rotors. 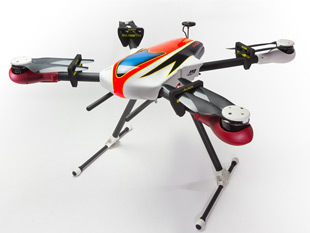 Flight modes include attitude, GPS velocity, GPS angular, intelligent, and manual. In addition, it features failsafe auto return home, low voltage failsafe (through LED indicator and auto Return Home), OSD signal output, gimbal control, and Point of Interest (POI) function. 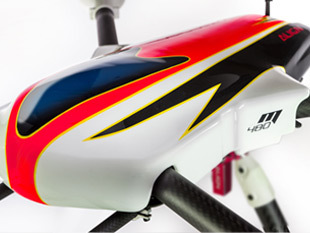 — Compatible with PC and Bluetooth interface, could be easily adjust flight parameter and update firmware at any time. — Brand new APS-M flight control system with higher performance, precision sensors and superior reliability platform. — APS-M supports 4, 6, and 8 rotors multicopters, with flight modes such as Manual, Attitude, GPS (angular), GPS (speed). — Equipped with automatic return home function with remote activation ability from R/C transmitter. When RC transmitter signal is lost, multicopter will automatically fly back to home position. 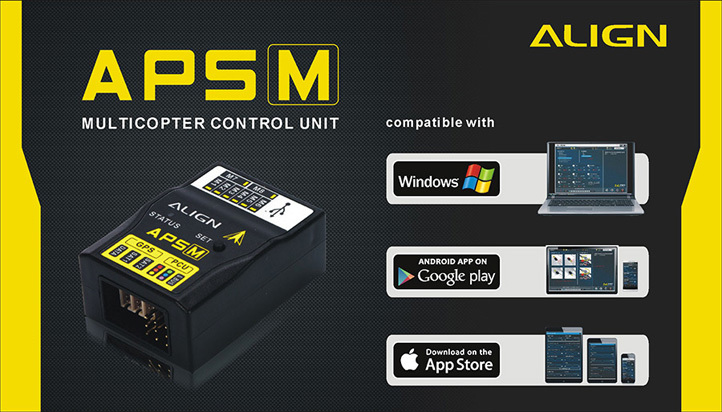 — APS-M provides 3 intelligent flight modes: CFO, HCL, and POI. — Provides real-time OSD flight data output function. — Also fully support with Futaba, Spektrum and JR S. BUS/S.BUS and DSM2/DSMX/DSMJ/DMSS system. — Supports External Peripherals: "G2/ G3 Gimbal OSD+FPV Video Transmitter "
— Supports Multicopter Configurations: "4 rotors +, 4 rotors X, 6 rotors +, 6 rotors X, 8 rotors +, 8 rotors X."